"The Dane" is a feature film adaptation of William Shakespeare's play "The Tragedy of Hamlet, Prince of Denmark". This tense, psychological thriller with a supernatural kick follows a cat and mouse game being played out between a quick witted young prince and his devious uncle - with their lives and the fate of the kingdom on the line. Major differences between this and previous film adaptations include the ages of the characters, accessibility of the language, time period, and religious symbolism. Read on for more details. SPOILER ALERT! The following information necessarily reveals some of the information about the story, concept and direction. You have been warned. News of his father's death calls young Prince Hamlet home from school. Upon arrival, he discovers his mother Gertrude has married his uncle Claudius, who also has his eye upon the throne. The ghost of his father appears to Hamlet, reveals that Claudius poisoned him, and commands his son to take revenge. This dark, twisted path of suspense and murder takes Hamlet to the brink of madness and ends in a breathtaking duel to the death. In most interpretations, Hamlet is presented as being in his 30s or 40s, which often makes his character seem very immature for his age, wishy-washy, and undecisive. However, research indicates that Hamlet is actually 16, and that makes a huge difference. As a sixteen year old, his character, struggles, and decisions not only make more sense, but make the character much easier to relate to. And with Hamlet's age dropping by about 15-20 years, so do all the other characters. That change increases the stakes for everyone involved, and it opens up the story to a much broader audience as a consequence. One of the most challenging aspects of adapting a Shakespeare play for a modern day audience is the language. Although most of Shakespeare's words are still in use today, there are many terms, events, social attitudes, etc., of his time that now sound strange, are virtually unheard of, or are just plain confusing today. To bridge the gap of language and time, this version replaces archaic words and phrases with period-correct alternatives that are more easily understood. Also, new scenes and dialog have been introduced to clarify the plot and help the modern audience to identify with the characters and story. Religion is a cornerstone of the story, and unfortunately is often ignored in other productions of Hamlet. The text consistently reinforces this with numerous detailed religious references, and almost every decision and plot point can be traced back to the Catholic faith or the questioning of it. For this production, it is a key element that cannot be taken lightly either in the performances or the artistic design. As we get official commitments and bios of the key production team members, we will expand this area. You probably won't see too much here until financing is locked. Christopher Gauntt started reading Shakespeare at the age of 7, performing it at the age of 10, and directing it by the age of 19. He directed an award winning staged production of Hamlet at UCLA which was the foundation of what would evolve into the "The Dane". 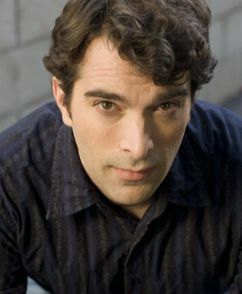 He has an extensive background in theater, film, and television, in both production and development. This includes a five year stint at DreamWorks in the feature film department as the script coordinator and technical liaison between development and production. He left DreamWorks to form Creative Haven Entertainment and pursue writing and directing full time. You can see the very first short film he directed here:The Art Of Conversation. "My philosophy on directing is to know as much about every part of the process as possible, that way I can have clear, rational discussions, and make decisions that come from a place of knowledge instead of unrealistic fancy. As such, at various points in my career I've done just about every job on a film that there is: PA, editor, dp, foley artist, composer, write, direct, act, produce, upm, art department, 3D story-boarding, etc. etc. As a director, I always try to be very prepared, efficient with my time, and respectful of what I ask from my cast and crew. I've directed very complicated full length plays, some fun challenging short films, and coordinated large scale entertainment events involving several hundred artists and performers. So although this will technically be my first full-length feature film (as a director), I'm probably one of the most experienced "first-time" directors you'll ever meet."